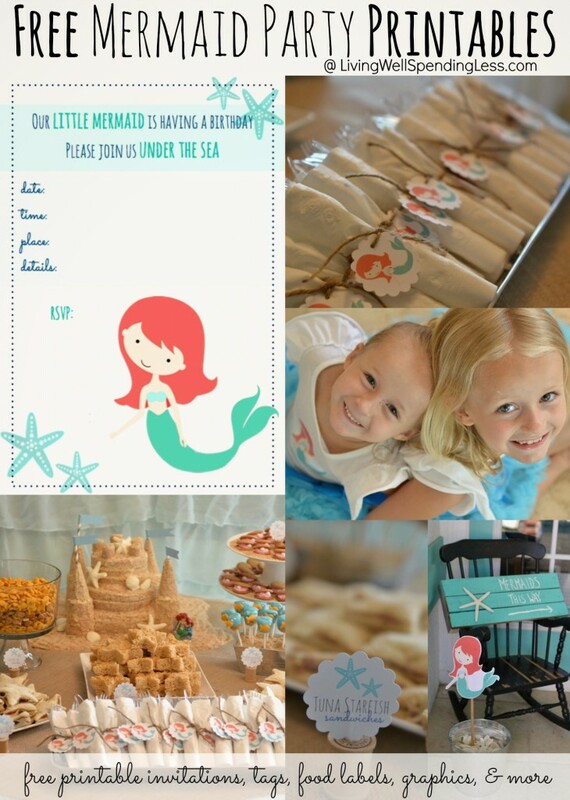 One of the easiest way to save money on a party is to skip the overpriced commercial party products in favor of those you make yourself. 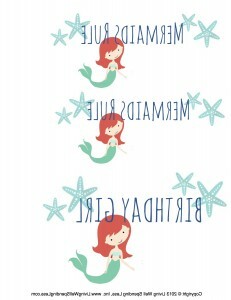 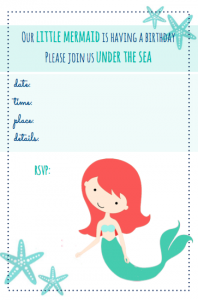 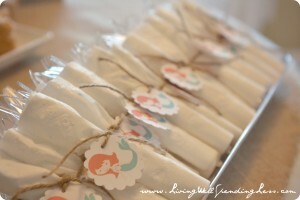 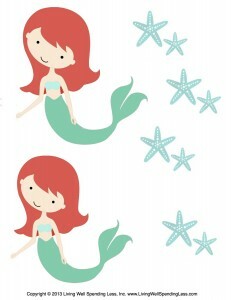 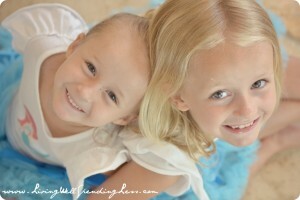 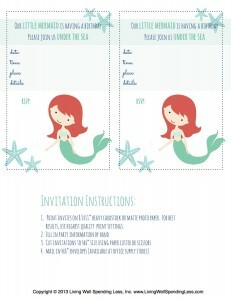 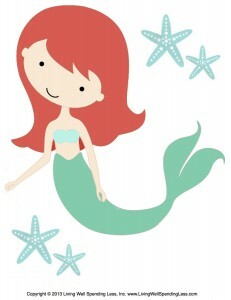 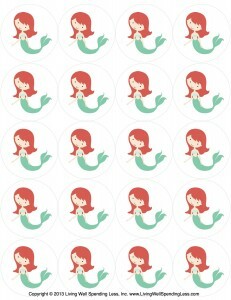 These cute mermaid printables can be used in lots of different ways….my little gift to you! 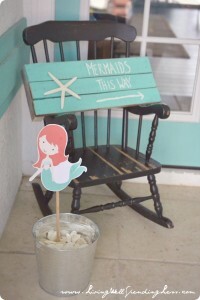 For ideas on how to use them, and for lots more thrifty mermaid party ideas, be sure to check out my Beachy Mermaid Party post! 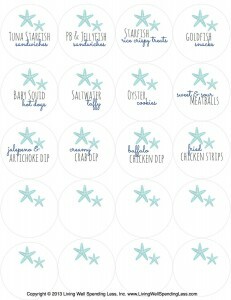 Note: I use this Fiskars extra-large scalloped circle punch to cut out all the tags. 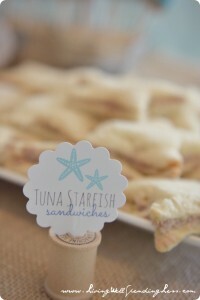 It is the best punch EVER and well worth the $15 investment!